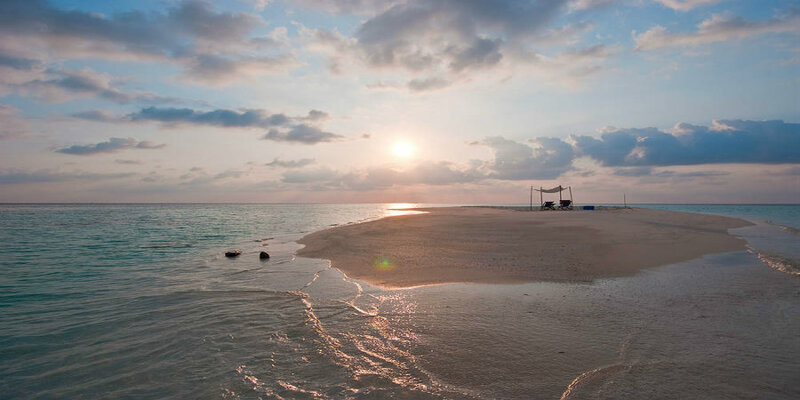 Sun Aqua Vilu Reef is a luxurious island resort with one of the most amazing beaches that we have ever seen! Just 30 meters from the shoreline is the resorts house reef which is full of sea life, making this a perfect snorkelling spot. Heading further out to the sea, the more adventurous and experienced divers can explore underwater caves and coral covered wrecks. 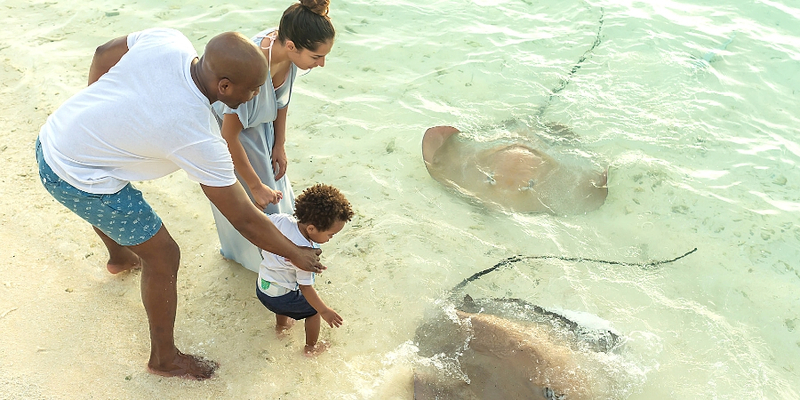 The resort offers a number of professionally led excursions including daily snorkelling safaris which visit a different location on each day of your holiday; and there are a number of courses available for both children and adults who want to improve their abilities. Prices start from £2175 per person for 7 nights in a beach villa on an all inclusive basis including flights and transfers. 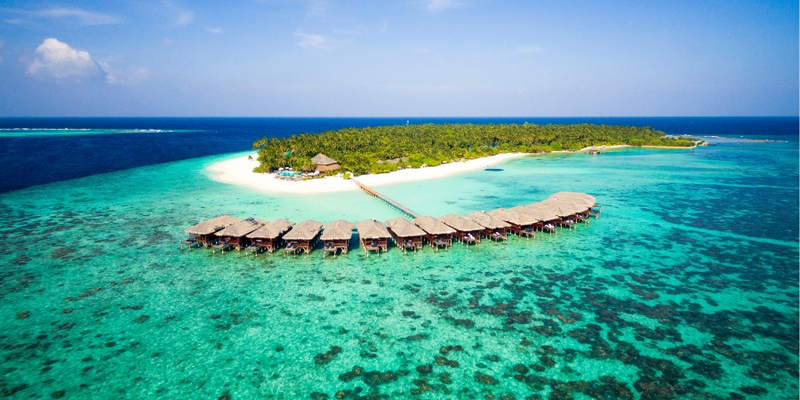 Sun Aqua Iru Veli is the latest addition to the Sun Siyam group and is a uniquely exclusive guest island with private freshwater pools and ocean views from every suite. 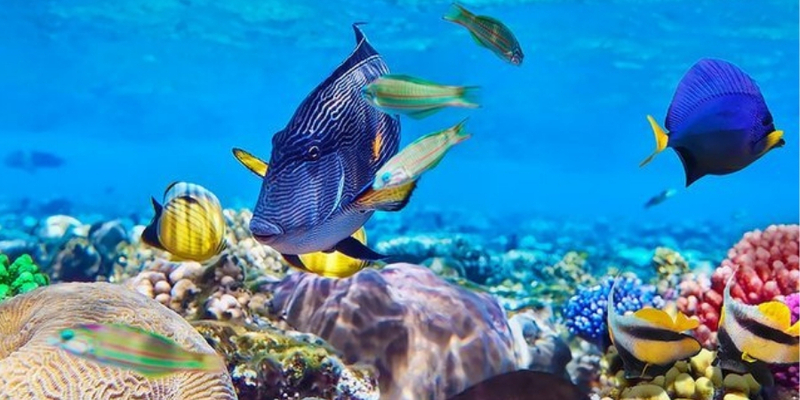 You can walk straight from the beach or lagoon to the house reef where you’ll find a variety of tropical fish and coral gardens. 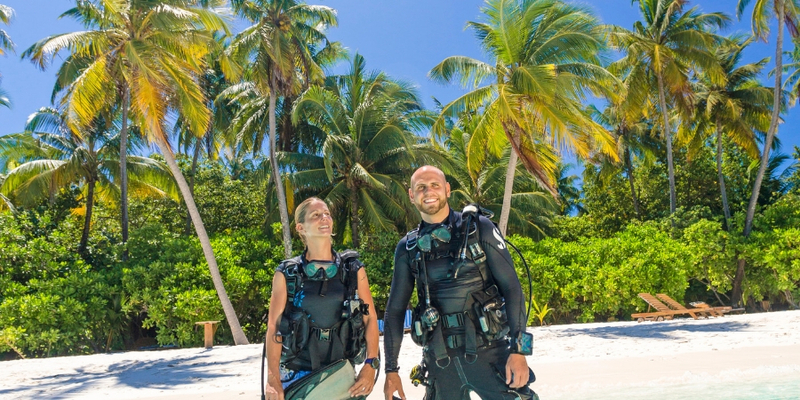 To explore further afield The Sun Dive School’s internationally recognised instructors are on hand to help you navigate around the island and beyond. Prices start from £2175 per person for 7 nights in a beach suite on an all inclusive basis including flights and transfers. 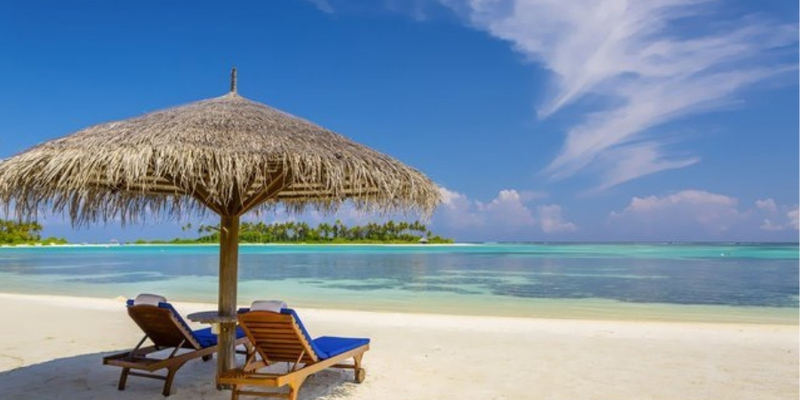 Filitheyo Island Resort is a quiet, authentic Maldives resort situated in the remote North Nilandhe Atoll, boasting an excellent house reef, which has numerous entry points around the island which is great for snorkelling. 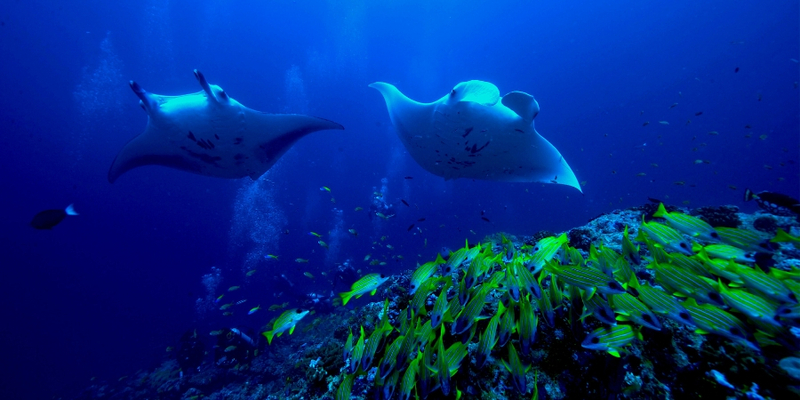 The resort has been included in the list of top twenty five diving spots in the Maldives with its diverse coral reefs. In 2010 the addition of the KM Argo Mina Wreck has increased the popularity of the resort, and the dive school offers a range of PADI and SMAS courses as well as a range of non-motorised water sports. Prices start from £1525 per person for 7 nights in a superior villa on a half board basis including flights and transfers. Makunudu Island offers guests the chance to admire the stunning coral reefs and rich marine life while snorkelling around their own house reef or the opportunity to try a free introductory dive. In addition to this, excursions on offer include guided snorkelling trips, dolphin watching and even a picnic on a desert island. Makunudu Dive School is located on the beach which makes it the perfect spot for relaxed divers and those wanting to learn how to dive in the protected reef, the home to several resident turtles, eagle rays and harmless nurse sharks. Prices start from £1495 per person for 7 nights in a deluxe bungalow on a full board basis including flights and transfers. 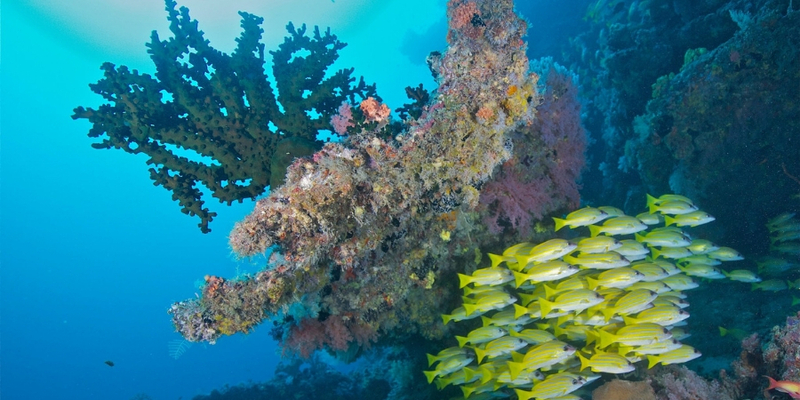 Truly a diver’s paradise, Helengeli reef lies at one of the main entrances to the Atoll, ensuring that a stunning underwater world can be viewed. 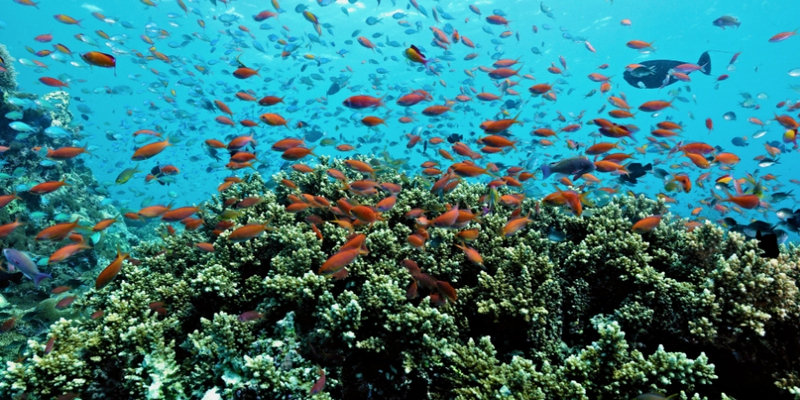 It has a worldwide reputation for its exotic house reef and channel diving just meters from the shoreline where a variety of pelagic fish reside. The five-star PADI diving school has a team of dive experts who can guide beginners or accompany well seasoned divers who just want to explore and make the most of the world famous reef. Prices start from £1950 per person for 7 nights in a beach villa on an all inclusive basis including flights and transfers.